Our mission is to build fine, quality furniture that celebrates the natural beauty of wood with a graceful, modern or traditional design, and is a joy to own. As a designer and builder of fine furniture, Tom is a true artist. Tom has a lifetime of experience studying the woodcraft of methods of the 1800’s, the golden age of American furniture innovations. 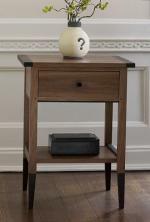 Tom creates our functional art furniture from different types and species of woods. 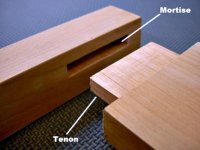 Tom precisely crafts mortise and tenon joints to give unshakeable strength to our furniture, which will give long service and beauty go generations of users. Thomas William Furniture is carefully crafted by hand and built to last for generations. Our designs and precise joinery allow for the natural expansion and contraction of solid wood from changes in humidity. During the 1800’s, American craftsmen improved on the old-world Victorian England and European designs. Victorian and European furniture had shallow joinery and a complicated, ornate and garish overall presentation. The American innovations include a wider selection of woods, deeper stronger joinery and an overall simplified presentation. At Thomas William Furniture, we make, solid, strong, unadorned, graceful furniture. Proper care will ensure a lifetime of happiness and satisfied use from your Thomas William Furniture piece. Should our furniture fail because of workmanship or wood material issues, we will either repair or replace it. 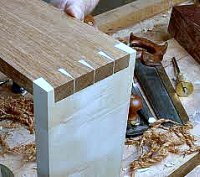 Some custom requested or exotic wood species and modifications are excluded. However, we will try to resolve any issues. We want you to be happy with your Thomas William Furniture piece.